If you or your visitors are planning to attend the Newcastle 500 this weekend there will be non-stop on-the track action, with three days of Supercars street racing to decide the Championships and with family friendly entertainment, there’s something for everyone. Kids 12 and under receive free Trackside admission with a paying adult. Legendary Scottish rock band, Simple Minds, will headline the celebrations (free with Saturday race ticket) supported by Aussie favourites, Birds of Tokyo. History will be made when the first Virgin Australia flight from Auckland, New Zealand will touch down at Newcastle Airport at approximately 6:30 pm on Thursday 22 November 2018. Virgin Australia will operate three return services per week from 22 November 2018 to 17 February 2019. 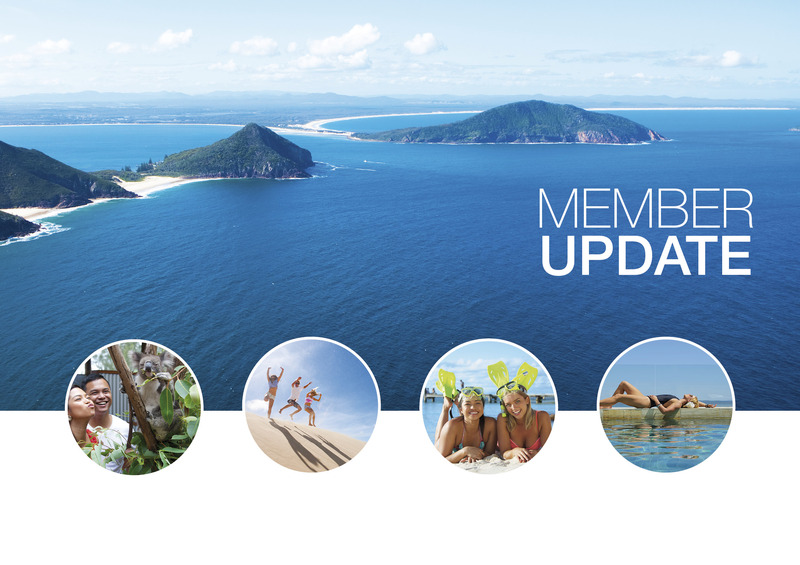 Port Stephens has been promoted in the New Zealand market by DPS to leverage the tourism opportunity the direct services from Auckland to Newcastle offers to drive increased visitation. It’s hard to believe its that time of the year again and you’re invited to the Destination Port Stephens Christmas Party at Whitesands, Shoal Bay Country Club. More information and the opportunity to purchase tickets will follow in the coming days. With Christmas just around the corner, for those with bookable online accommodation and tours you need to make sure your website listing, room and tour availability is up to date so visitors can book your product online as well as by the friendly staff at the Visitor Information Centre. Shoal Bay Country Club has expanded its offering with the launch of the newly renovated, Shoal Bay Convention Centre. The function space is a stunning beachfront location that can accommodate events of up to 500 delegates with tailored packages to suit. The purpose-built function centre can cater for meetings, medium to large conferences, weddings and events and features state-of-the-art facilities including multi-functional spaces that can be transformed into three separate rooms or one/two larger combinations, ample break-out or trade-show areas. Grab your crew, bring the kids and meet us on the Nelson Bay waterfront at sunset! Sacred Tree Markets brings together high quality art & design products, street food, live performance and entertainment on the Nelson Bay foreshore & D’ALBORA Marinas for twilight nights. ART | DESIGN | CULTURE | STREET FOOD | LIVE ENTERTAINMENT Visit the website. Medowie Christmas Carnival will feature a range of children’s rides and amusements; artisan market stalls; gourmet food vendors; live music and entertainment; as well as activity involving local schools, sport/dance/community groups, local businesses, Christmas carols, Santa and much more! Click here for event details. Changing of the Guard – Fighter World and RAAF – Monday 10th December 10am – 10.30am. Event and traffic information. Witness this historical event when the first two F-35A’s will officially arrive at RAAF Base Williamtown followed by a demonstration and coastal showcase of the aircraft. Expect large crowds, reduced speeds and increased traffic in the local area. Fighter World will be open from 8am to accommodate additional parking and both the museum and observation deck will be open from that time. More information.